Event 10 in the #TVWSOPCircuit Series - $365 6-Max goes to San Jose's Larry Odegard. This is Odegard's second final table of the series, as he finished 8th in the $580. The win moves him to 3rd in the Casino Champion race, with Ron Brown picking up an additional 10 points by finishing 12th in the 6-Max. 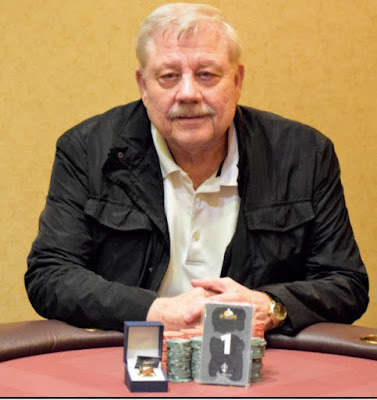 Brown won the $580 earlier yesterday, cashing in two WSOP Circuit events in one day. Here's all the results from the 6-Xax.